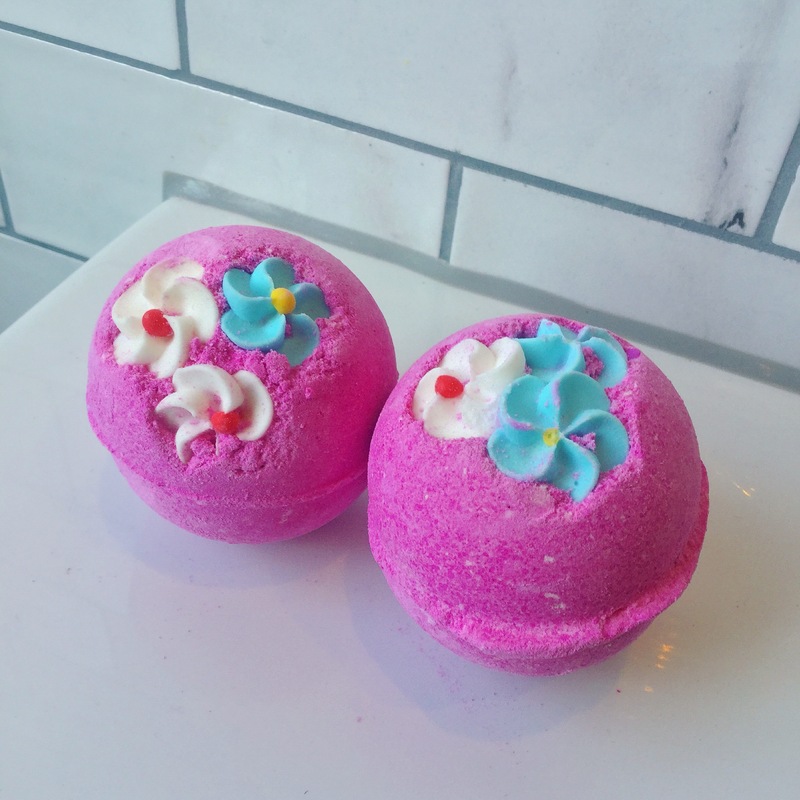 Have you tried the Cyanide Pill bath bomb from @LushOxfordStreet @LushOxfordSt? 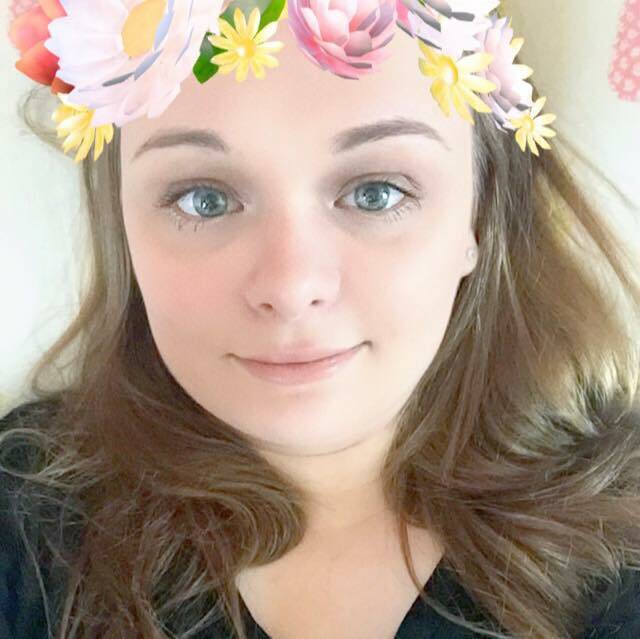 check out my review on it! The first thing that entered my head when I heard about Lush’s Cyanide Pill Bath Bomb was, what the hell, CYANIDE?! I left school 10 years ago now but I do remember learning a little bit about cyanide poisoning in history. Please do not expect this post to be a recap of my knowledge on all things historical. I got a D in my history GCSE which was actually my lowest grade, I’m not at all confident delving into the who, what’s and where’s of the original cyanide pill but I feel a brief introduction is needed within my review of this strange but very alluring bath bomb. A cyanide pill is more commonly know as the suicide pill. During World War II they where developed and given to agents who where entering enemy territory. There was unfortunately every chance that the agents would be captured and tortured for information. The suicide pill sat in their mouth and was cleverly disguised as a false tooth. Someone wishing to activate the cyanide pill would only need to bite down on it. Filled with a highly toxic compound of concentrated potassium cyanide, death was supposedly very quick and a much better alternative for those that would have been put through the most despicable levels of torture. Do not panic! The bath bomb equivalent of the cyanide pill is a lot more friendly than its original pill form. 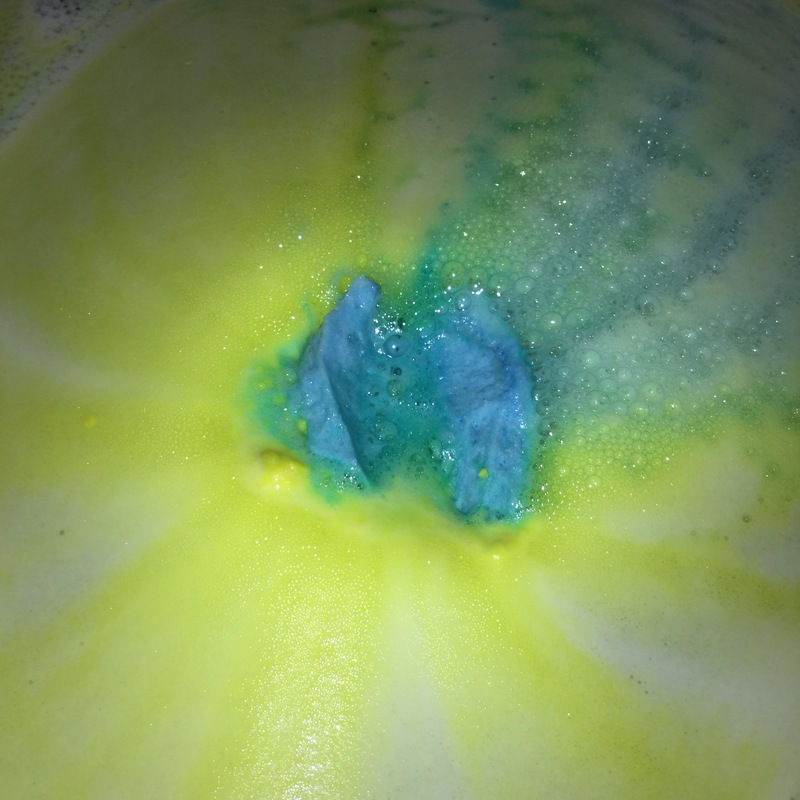 As soon as the Cyanide Pill bath bomb hits the water, yellow and white frothy bubbles appear. You are immediately hit with a strong scent of sweet almonds alongside a light but noticeable fragrance of lemon zest. The Cyanide Pill bath bomb isn’t as big as other bath bombs, I have seen people online stating that they think it’s a lot bigger than they imagined, I however disagree. I find it very small in comparison to others. I have however learnt that size is not a characteristic that makes a Lush product any better than an other. Good things come in all shapes and sizes! The Cyanide Pill bath bomb was one of the Lush products that was exclusive to Lush Oxford Street when it first opened a little over a year ago. It is still an Oxford Street exclusive so is quite hard to get hold of. When I very first used this bath bomb I was completely unaware of the silver and pink that is found inside of it. As seen in the above and below picture, the silver mixed with the yellow, left an abundance of beautifully decorated bubbles floating on top of my bath water. Another surprise that the Cyanide Pill bath bomb has is the ingredients of popping candy! Despite the sad and rather disturbing story behind how the Cyanide Pill first come about, I can’t help but really like the concept that Lush have come up with in this bath bomb. It is not only a highly moisturising product that creates the most beautiful of baths, it also helps teach another generation things long forgotten about. Every last aspect of a Lush product is carefully picked and designed. Be that a Lush products scent, ingredients, shape or colours, they think about everything. Everything has a valid reason for being a part of that Lush product. Almond oil as a main ingredient wasn’t used within the Cyanide Pill bath bomb because it ‘smells nice,’ After a quick look online I actually learnt that the potassium cyanide within the suicide pill was said to have a bitter almond scent. Every last detail is thought about within a Lush product. I am sad that the people behind all of the research and reasons of a Lush product do not get more credit, they do such an amazing job capturing and portraying an idea into an enjoyable and popular cosmetic product. The Think Pink bath bomb might be quite a bit smaller than many of the bath bombs currently available in Lush however do not be fooled. I have said this before and I will say it again, never judge a bath bomb until you’ve given it a go in the bathroom. This hot pink bath bomb decorated with cute, candy-flowers is quite the sight for a self confessed pink-a-holic. Although I will admit that my nose didn’t at first detect all of its supposed ingredients. The fair trade vanilla absolute is probably (to me) the most prominent scent in the Think Pink bath bomb. In complete contrast, I would have never known that the Think Pink bath bomb also had neroli oil in. My nose just doesn’t seem to pick up on it. The bath bomb’s scent however does have a gentle, zesty edge to it and I imagine this being because of the neroli oil. 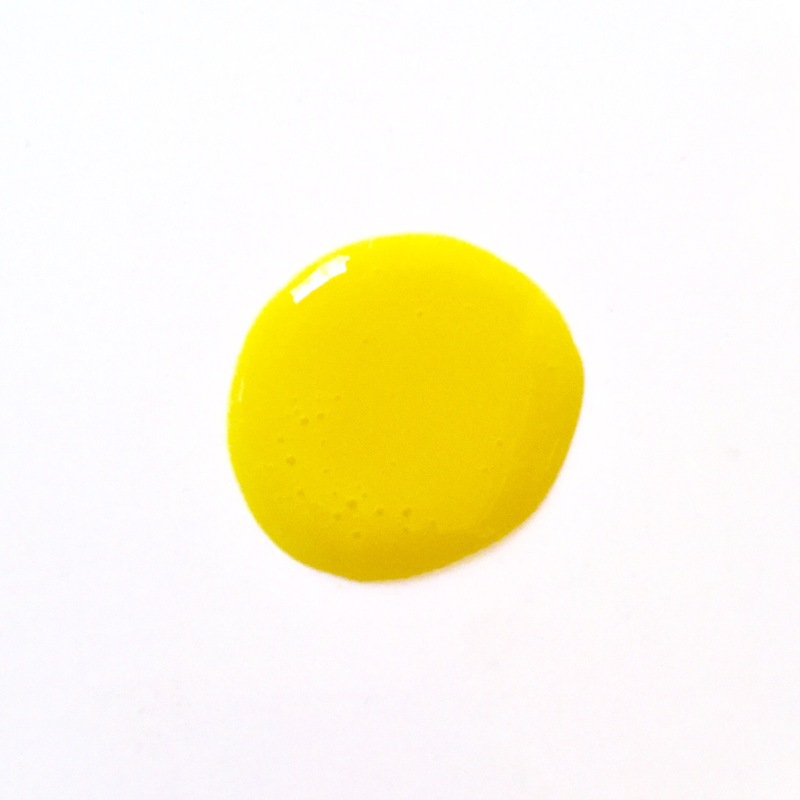 Alongside the vanilla and neroli oil are tonka absolute and lavender. In my head I really wasn’t sure if all of these ingredients would work well together, I however had a few sniffs of it in the shop and was sold straight away. Tonka, lavender and neroli oil have since become some of my favourite Lush product ingredients. Ever since I first tried the Think Pink bath bomb I have always made sure that I have one or two to hand for the times I crave a sweet-treat bath. I adore this bath bombs scent, there isn’t anything much better than being surrounded in Think Pink’s glory, it calms my mind, body and soul. Against my original belief, Think Pink has the perfect combination of ingredients to help me relax and wind down after a long, hard day. 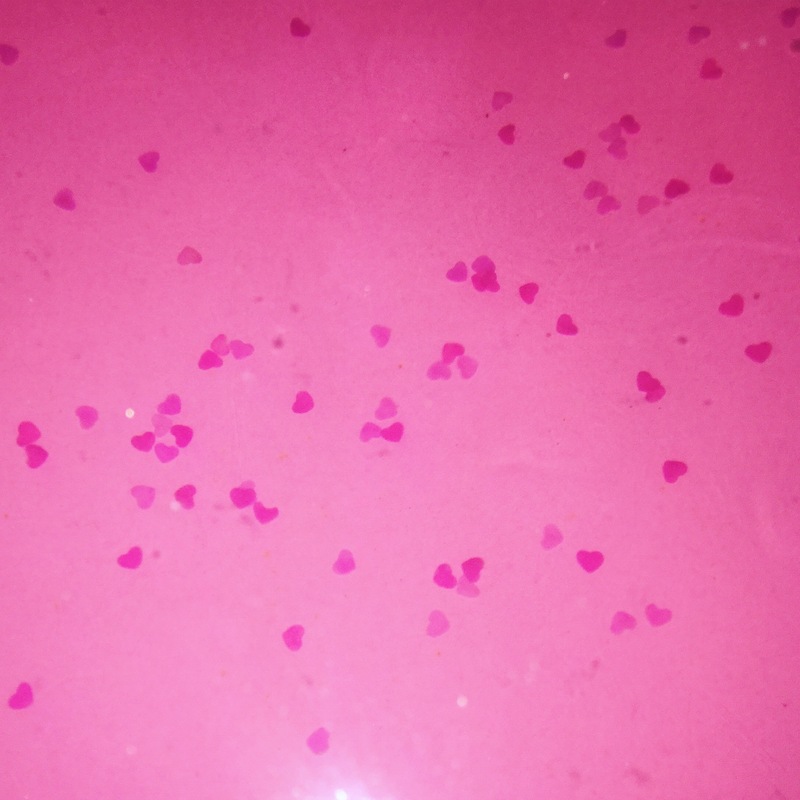 The first time I used Think Pink in the bath I literally had no idea of its surprise ingredient, confetti love hearts! – I know some people are afraid of small and slightly random objects in their bath however these confetti love hearts dissolve away as you bathe, just like the bath bomb did initially. They aren’t scary at all, I promise. As the description in the Lush catalogue says, Think Pink really is like a hug in bath form.